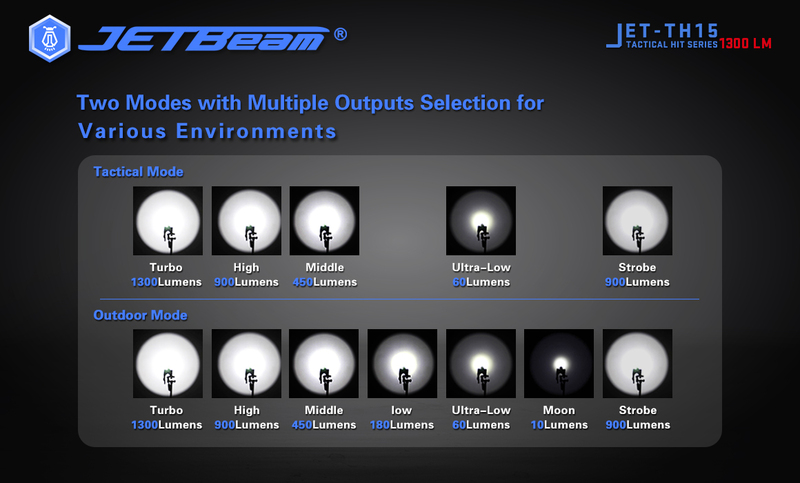 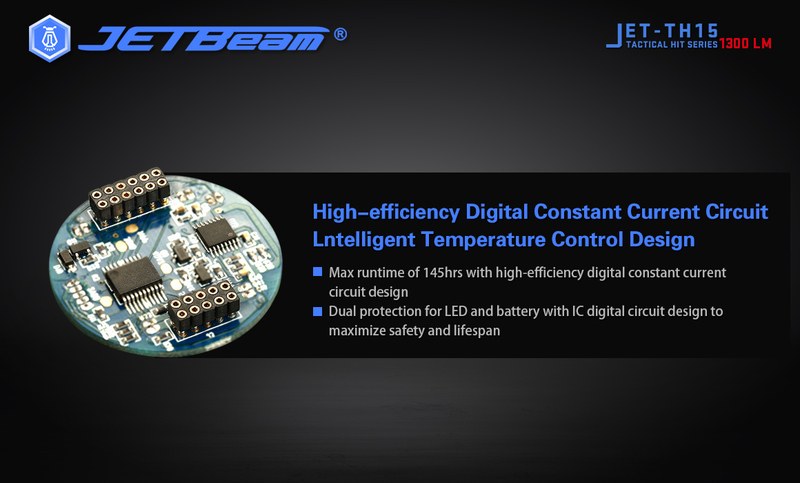 TH15_Products Center-JETBeam Electronic Technology Co.Ltd. 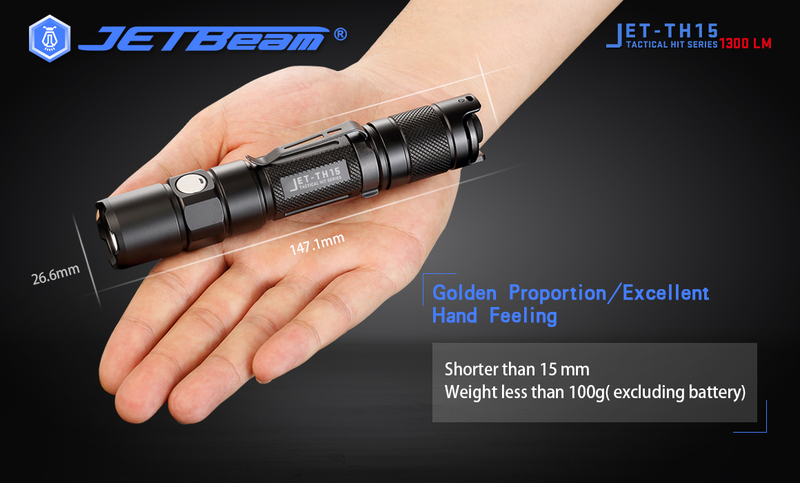 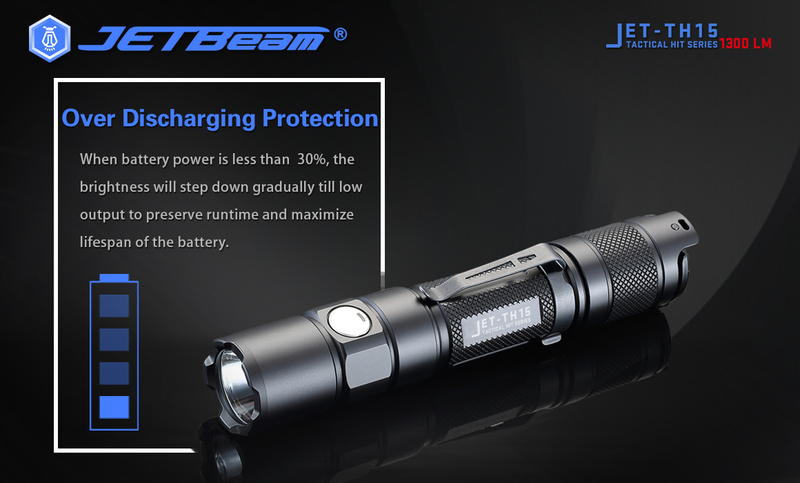 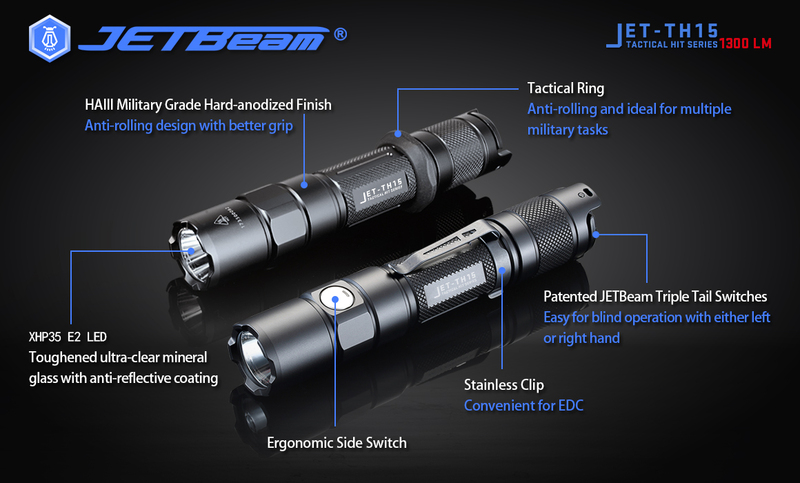 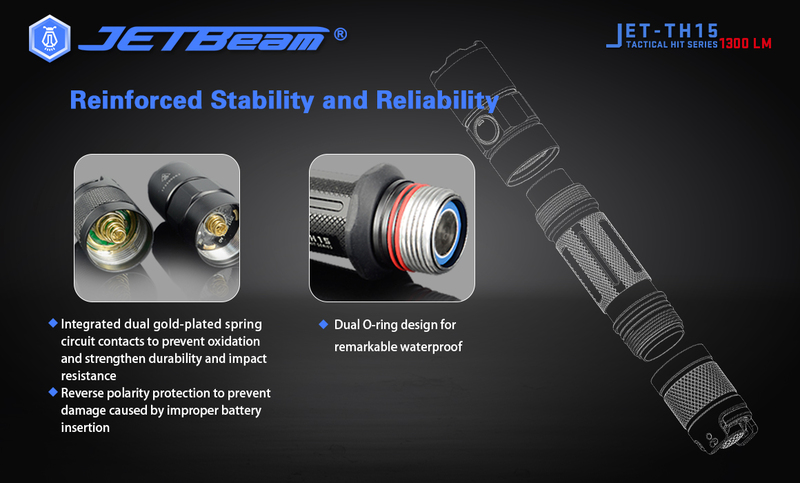 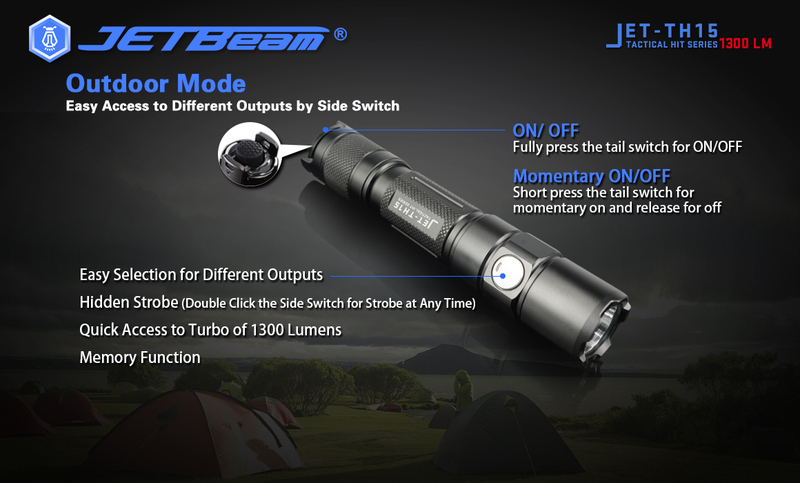 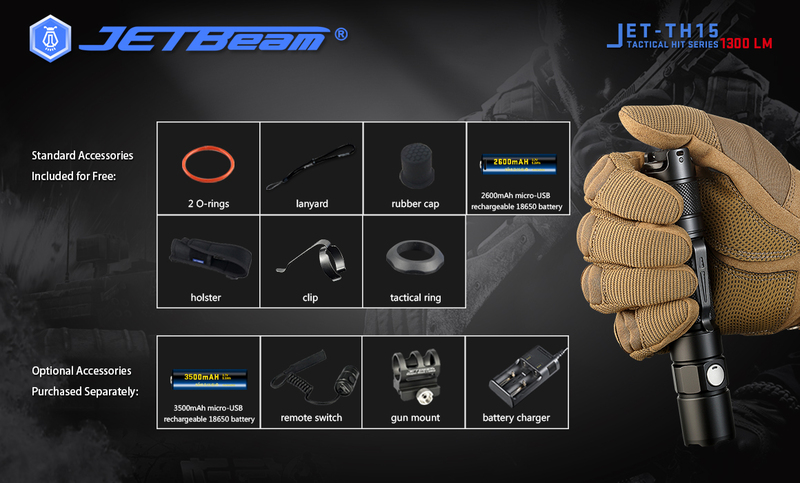 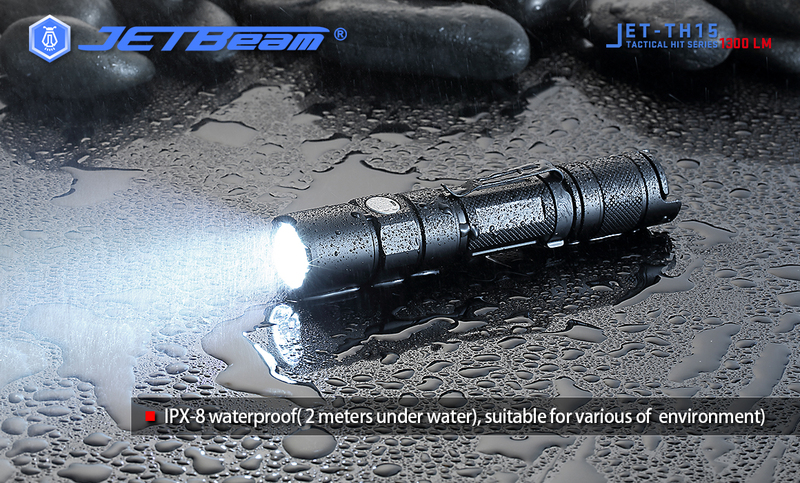 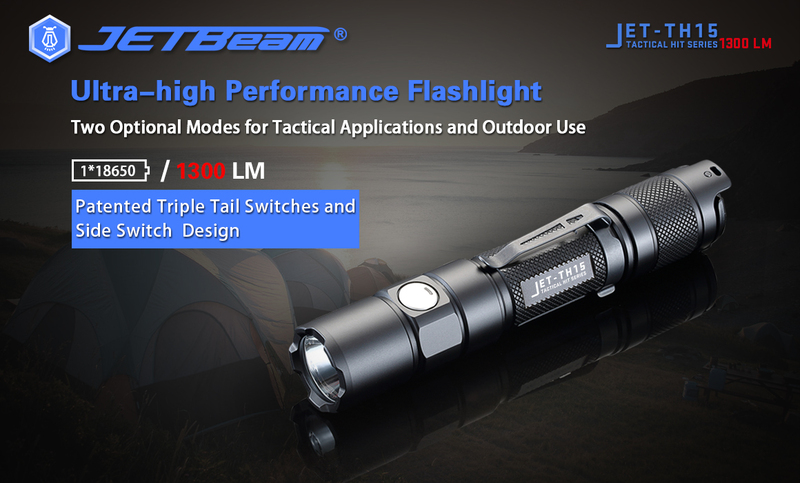 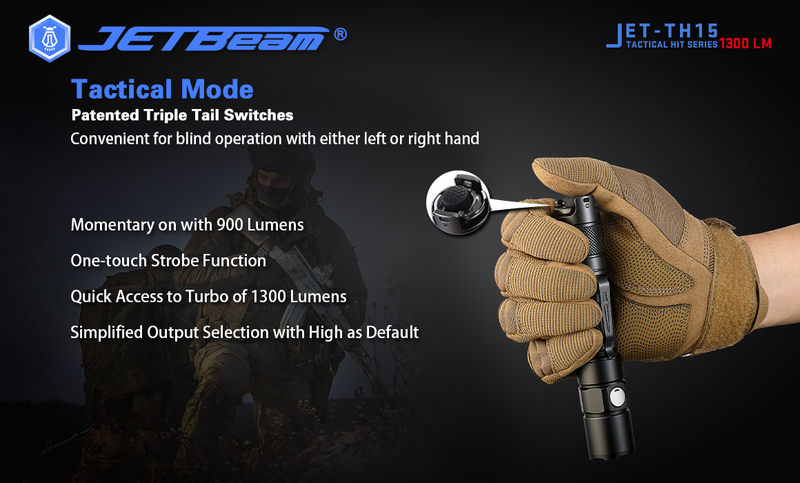 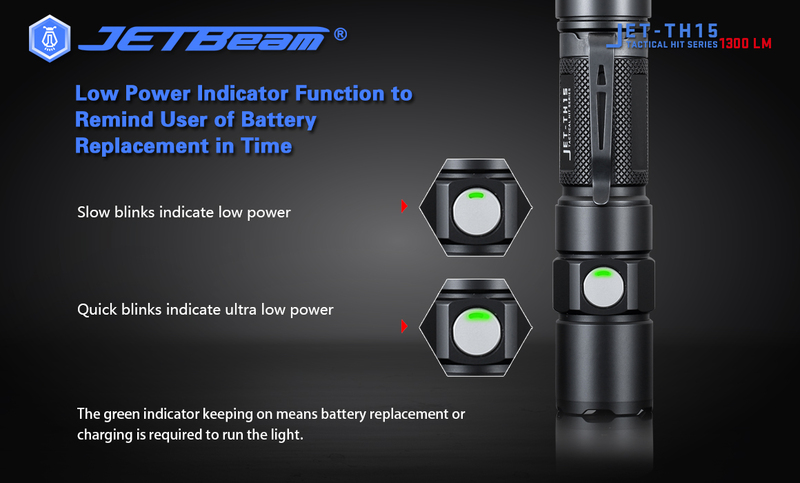 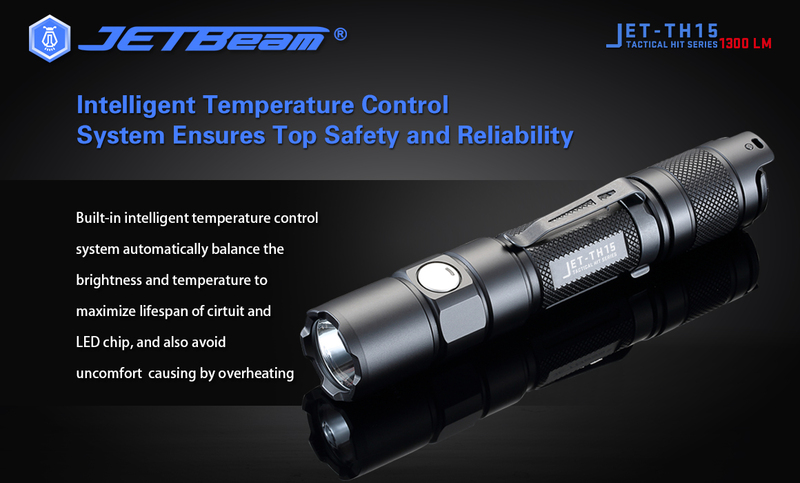 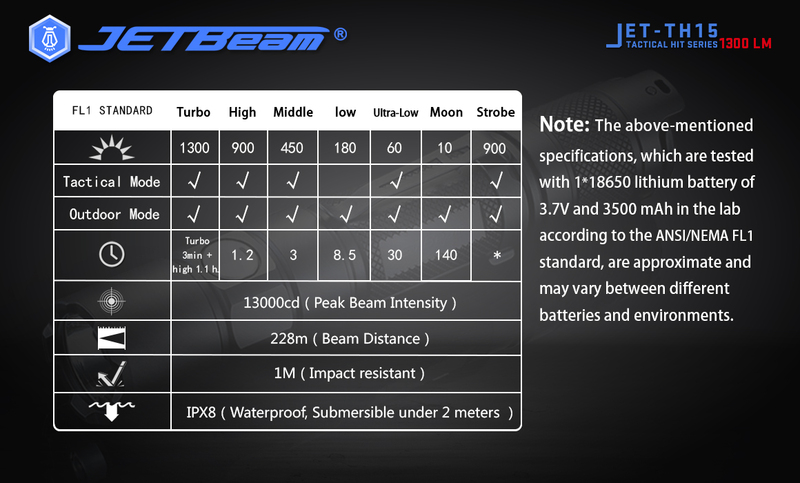 This amazing hand held JETBeam TH15 tactical torch is a rechargeable torch via one18650 battery with USB port on the battery itself (see photos). 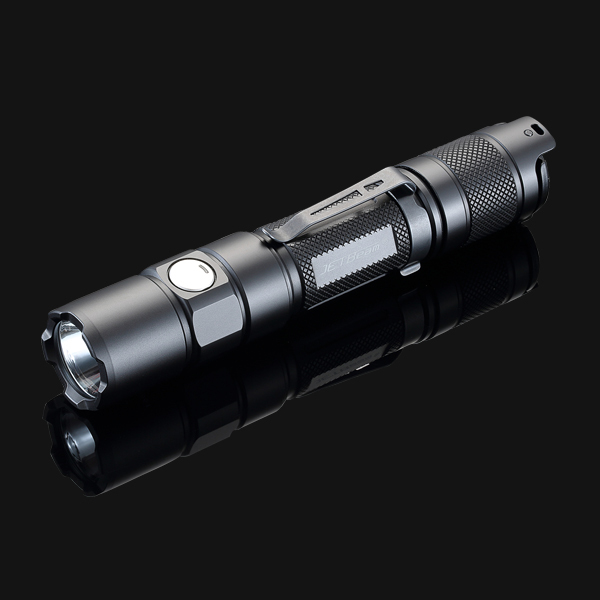 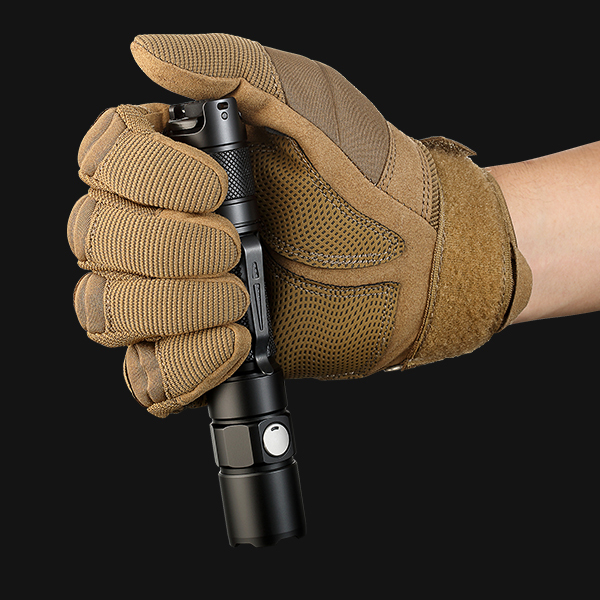 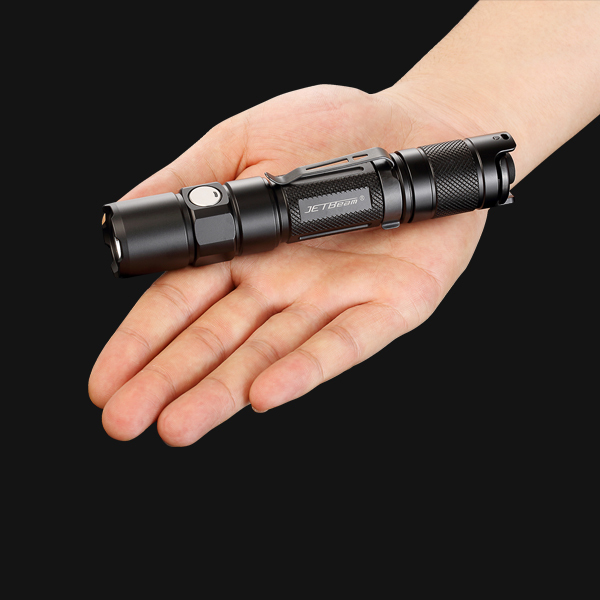 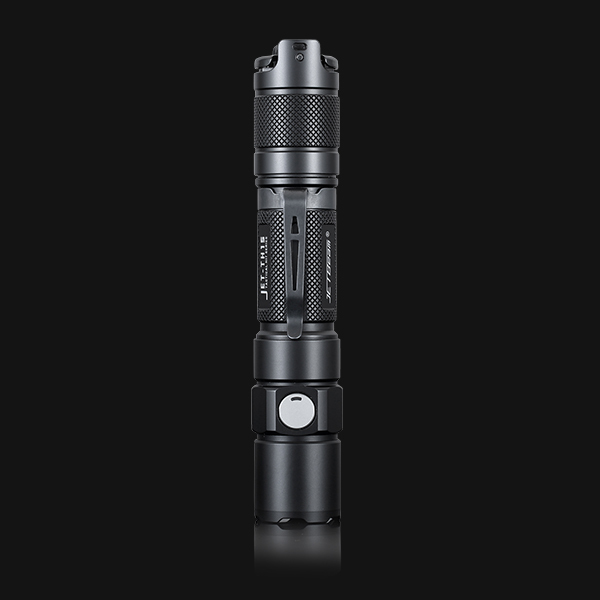 Throws out 1300 Lumens, only weighing 100 grams, and 15cm long, this little torch is a must for any tactical use, domestic or work related. 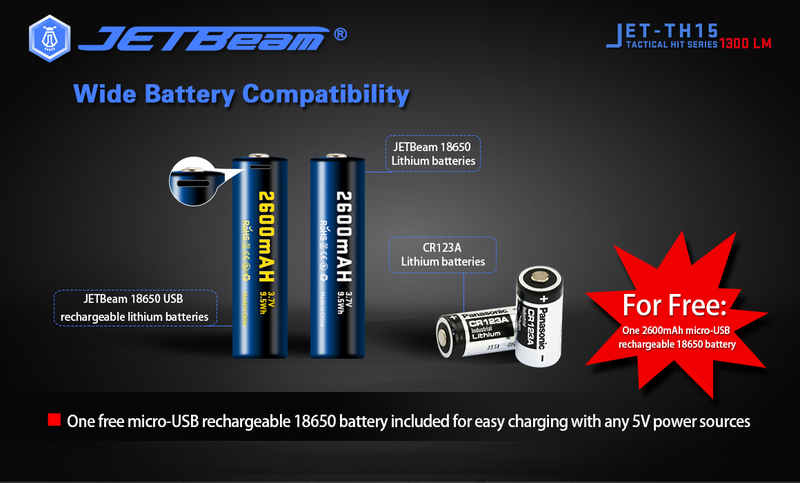 - One free micro-USB rechargeable 18650 battery included for easy charging with any 5V power sources.